This lens is the apex of Tamron telephoto zooms in a compact package that’s the smallest* in its class. 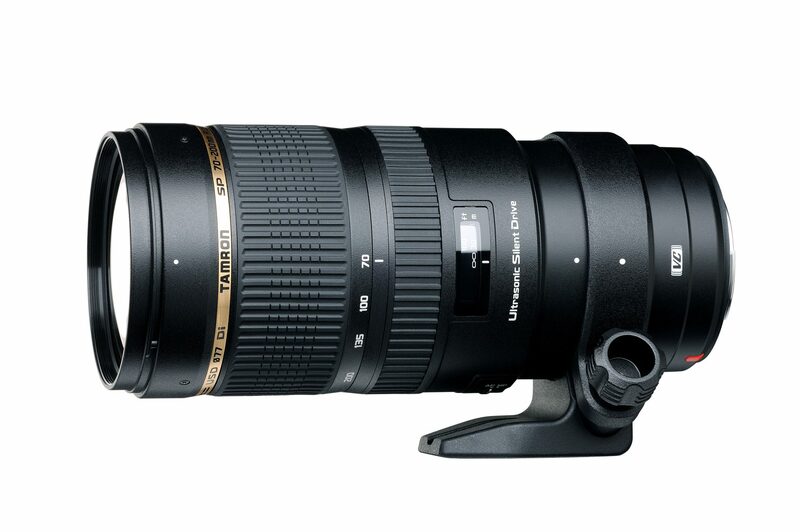 VC (Vibration Compensation) image stabilisation** boosts the low-light shooting capacity of this fast-aperture lens, while Tamron’s proprietary USD (Ultrasonic Silent Drive) motor delivers speedy, quiet, accurate autofocus that captures those decisive moments. For sport, journalism, fashion, studio portraiture, weddings and many other applications, the Tamron SP 70-200mm F/2.8 will exceed your expectations every time. One special XLD (Extra Low Dispersion) glass*** and four LD (Low Dispersion) elements combine to provide a new level of correction for chromatic aberration. A new advanced optical design delivers excellent contrast and resolution. ** The Sony mount does not include VC, as Sony digital SLR bodies include image stabilisation functionality. The Sony lens is designated as “SP 70-200mm F/2.8 Di USD”. *** The XLD glass has much lower dispersion, similar to fluorite, than the conventional LD element. **: Length is the distance between the mount face and the tip of the lens. ***: Entire length is the distance between the tip of the lens and the tip of the protrusion. ****: This rounded diaphragm retains a nearly circular shape even when taken two stops down from its fully open state. *****: The Sony mount does not include VC, as Sony digital SLR bodies include image stabilisation functionality.